Check out the trailer for Chilling Adventures Of Sabrina. On Netflix from October 26. Half witch. Half mortal. On her 16th birthday, Sabrina (Kiernan Shipka) has to make a choice between the witch world of her family and the human world of her friends. 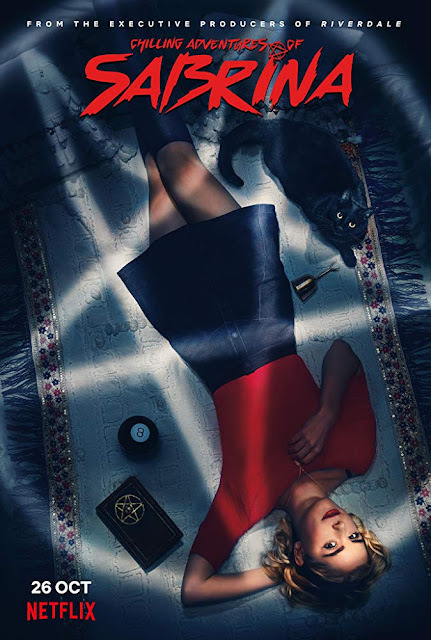 With her aunties (Miranda Otto, Lucy Davis), her cat Salem, and her boyfriend Harvey Kinkle (Ross Lynch), Sabrina will face horrors and new adventures in the mysterious town of Greendale.